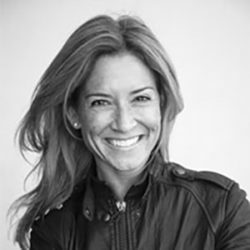 Jill is a leading strategic marketer and partnership expert who has led global initiatives for some of the world’s biggest brands, including Sports Illustrated, Apple, The North Face, AB InBev, Gatorade and NBCUniversal. For 20+ years, she has worked in agency, client and media roles, giving her unique perspective on how to build and execute a fully integrated campaign. Jill advises Fortune 500 companies and start-ups on marketing strategies that drive impact and action. She is a frequent lecturer on Marketing & Social Good and believes that to stand up, one must first stand apart. As an angel investor, Jill supports women-led and owned companies like The Wing, The Second Shift, FounderMade and Bandier. She also serves as an Advisory Board member for consumer brands including Good Mylk and LuxAnthropy. Jill lives in Los Angeles with her husband but will always be a Virginian at heart.